This one-piece volumizer adds coverage and volume to the crown and back of the head. It clips in and out easily and can be heat-styled to create any look. Perfect for the beginning stages of hair loss, the 100% remy human hair blends flawlessly with biological hair. 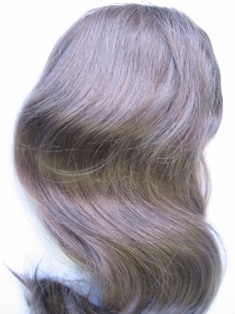 Base Dimension 6.5" x 2.25"
Human Hair Fall - CRCT 14" 5.5 oz. 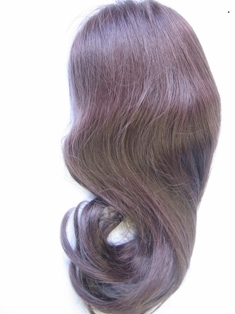 Pony Tail Human Hair 18"